Relocation of the south district in 2008 and 2009. Discovery of the large gold deposit to the south of the town required a major logistical planning. The project required the relocation of 205 residential houses. Never had a relocation project of this magnitude been undertaken in Canada. The Malartic’s Town Council’s main objective was to keep its citizens in the municipal area. A new residential district north of the town was then planned and developed. 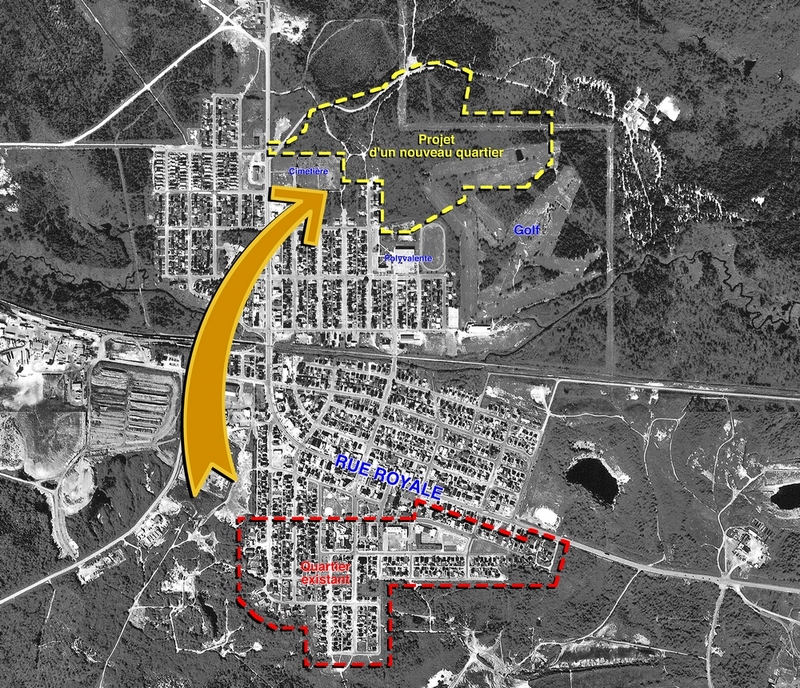 Residents were presented with two options, either allowing the mining company to move their homes to this new neighbourhood, or to sell their homes to Osisko Mining Corporation. A committee composed of representatives of the company, the Municipal Council and volunteer citizens was set up to oversee the whole project. Recommendations from all citizens were also taken into consideration, particularly with regards to criteria for the allocation of lots. 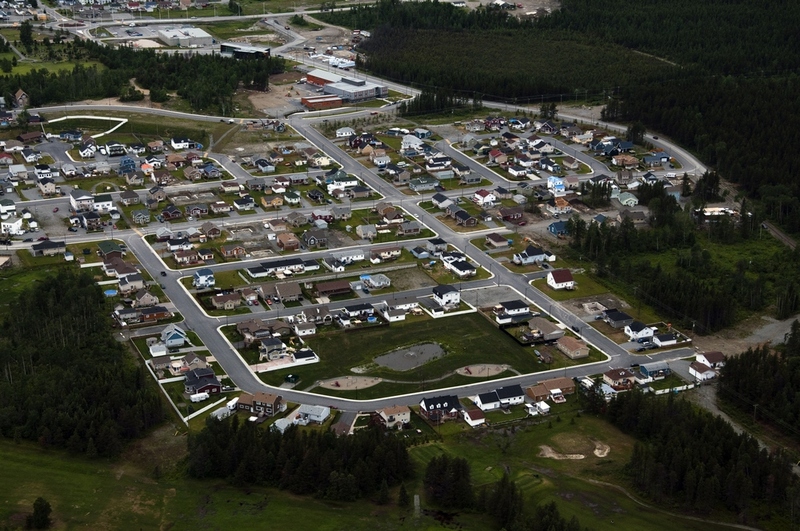 Malartic’s New Northen District in 2009. Construction of the new district began in December 2007 and the first house was moved on July 9th, 2008. In the end, 138 houses were moved on large convoys during 2008 and 2009. The new neighbourhood was also provided with 205 empty lots for the construction of new dwellings. As such, the town would have (potentially) an equal amount of homes as in the original neighbourhood.